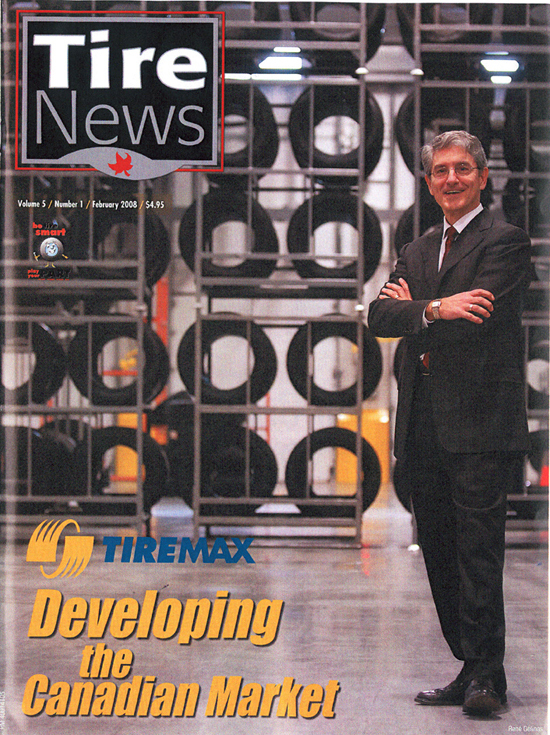 American manufacturer Inovex Industries from Virginia is making its tire sealing products better known as Ride-On Tire Protection System (TPS). Contrary to other sealant manufacturers, Inovex does not use the same product for all uses - Inovex offers a full array of sealants for different needs under the Ride-On brand. First, there is the CHS (Commercial High Speed), a gel applied inside a truck tire that not only seals the tire but also reinforces It, making the surface less flexible. The product's manufacturer also says it can add up to 25% to the strength of the casing. What's more, the Ride-On CHS constantly balances the tire while protecting the wheel from corrosion. But its most remarkable feature is that it can seal a puncture up to 1/4-inch wide. Next is the HDOTR (Heavy Duly Off Road), a sealer designed for off-road vehicles used for military purposes, in refuse sites, at scrap yards, mines and forests. According to the manufacturer, It can seal a puncture up to 1/2 Inch. In the same vein, Ride-On offers the TC&S, a conditioner and sealer for vehicles running at speeds inferior to 50 km/h. It is aimed at vehicles such as small forklifts, farm tractors, and other similar vehicles. This product prevents leaks and can seal punctures up to 1/4 inch. Finally, those who might need ballast will appreciate the Tire Conditioner and Ballast (TC&B), which replaces liquid ballast. This Ride-On product is useful for vehicles working in mines, on farms, and even on construction sites. The manufacture claims that its TC&B product helps decrease heat in the tire and prevents leaks. Inovex guarantees that its products are environmentally safe and distributes its products in New England and many other American states, mostly where the trucking industry is active. It also exports its Ride•On products in many countries of the world including Canada. For more information, consult www.ride-on.com.